Picaboo lacks the refinement of its photo book service competitors. Picaboo is certainly a contender among the many services that let you create and order a custom photo book online. The company is mostly focused on photo books, but also offers journals, notebooks, calendars, and even mouse pad printing services. We found its web editor better than Shutterfly’s thanks to a variety of charming options and features. That said, because of occasional crashing and general sluggishness, the Picaboo editor wasn’t as smooth as Mixbook’s. 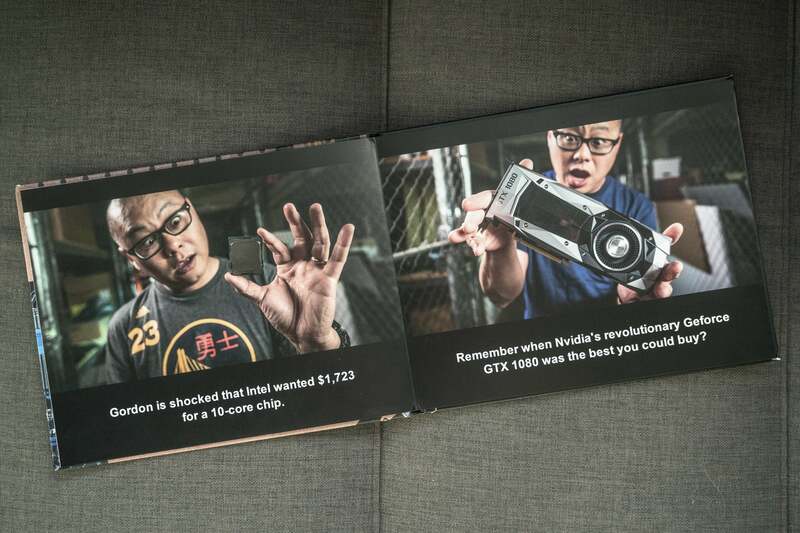 What’s more, the Picaboo book itself suffered some photo consistency issues, and the final printed product wasn’t as striking as we hoped for. Picaboo has an array of book formats to choose from: Classic (starting at $19.99), the ultra-portable Minibook (starting at $19.99), the Seamless Layflat (starting at $64.99), the leather-wrapped Madison (starting at $199.99), and the double-thick, leather-bound Flush Mount (starting at $399.99). There are seven different sizes in total and two options for each type of book, except for landscape which only has an 11x9-inch option. 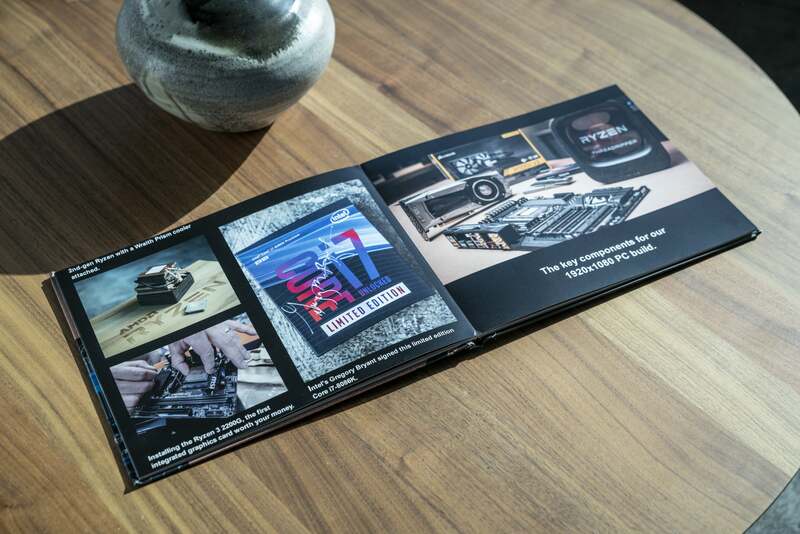 For this review, we made a 21-page 11x9-inch Seamless Layflat book which came to $81.74 excluding shipping. 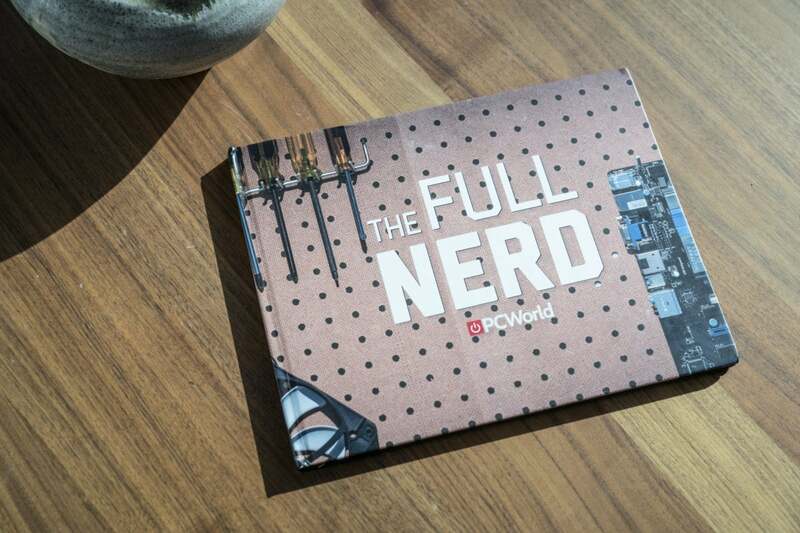 Our theme: a yearbook of PCWorld’s “The Full Nerd” YouTube show. Picaboo has a newly designed editor with a nice set of features and a modern look, and overall it distinguishes itself from the competition. Sadly, though, this “new” editor also froze and crashed multiple times while running in Chrome. We didn’t test it with other browsers, but Chrome is the most popular browser, and the web editor should’ve been coded with full Chrome compatibility. So, to be on the safe side, we recommend using the “old” editor since you’re given the option to do so when you start your project. Fortunately, any changes you make to the book are immediately saved to prevent losing progress in either editor. Picaboo’s beta editor had impressive features but crashed way too frequently. We found adding and editing text somewhat painful in Picaboo, but this is generally the case among photo book services, save for standouts like Mixbook and AdoramaPix. Aligning captions was difficult because the alignment lines didn’t always appear when positioning text under photos. This made it difficult to ensure captions were consistently placed across different pages. Of course, if you’re planning on making every page different, this won’t present a problem. Navigating throughout the project was far from seamless. Hitting Pages at the bottom brings up a small scroller that lets you move from page to page and drag them around. Oddly, though, you can’t move the image you select for the front cover onto other pages. We also felt like it took too long to load pages when moving between them. But not everything was problematic. The editor includes some exceptional features like the ability to add text to the spine. There’s also a huge selection of graphics under Stickers, and a ton of easily editable templates under Layouts. The templates are easy to work with, making it a breeze to select text and photo placeholders for deletion, rotation, or resizing. Another handy feature is Picaboo’s photo-editing tab. When you select a photo and hit the Edit Photo tab in the top left, you’ll be presented with a range of tools to make quick adjustments. You can even turn photos into shapes like hearts and stars. It also lets you apply a drop shadow effect to all the photos in the book at once. Overall, the software is impressive if you can look past the “new” version’s crashing, and occasional slowness. The photo book came packaged in a cardboard box when it arrived, which isn’t the most flattering presentation. (Picaboo didn’t appear to have any gift box options.) On the plus side, the cardboard definitely kept the book protected in transit. But the most important thing about a photo book service is the final printed book, and we weren’t displeased with the final product. We ordered the 11x9-inch Seamless Layflat book, and we can happily report that it did lay flat when opened. Picaboo’s photos did indeed lay flat. The pages of the book were thick and felt high quality, but weren’t as thick as Mixbook’s stock. Each page fell squarely on the previous one so the book continued to lay flat. The binding of the book and its contents were all intact and seemed sturdy. The cover image also wrapped around the spine of the book, which isn’t something all services offer. But when it came to the photos, we weren’t super impressed with reproduction. The pages had too much sheen and the colors just didn’t pop. The images were much darker than they appeared in the editor, and occasionally ruddy. We could’ve lightened the photos in the web editor to compensate for the print job, but there was no way to know this would be necessary. Some of Picaboo’s photos were discolored, dark, or ruddy. Quality wasn’t particularly consistent across all the photos, either. Picaboo warns you if it suspects your images lack sufficient resolution for the sizes you’ve chosen, but there were no such warnings for any of the photos we placed in the editor. So, while we thought we were safe, some images came out looking a bit low-res. Equally disappointing, some images printed noticeably warmer than the original files. That’s not to say all of the photos were bad. Many did reproduce very nicely, but consistency is key when it comes to a photo book and Picaboo didn’t deliver. For the 11x9-inch Seamless Layflat book, the total with economy shipping came to $91.73. This is generally in line with other services such as Mixbook, Shutterfly, and Amazon Print. 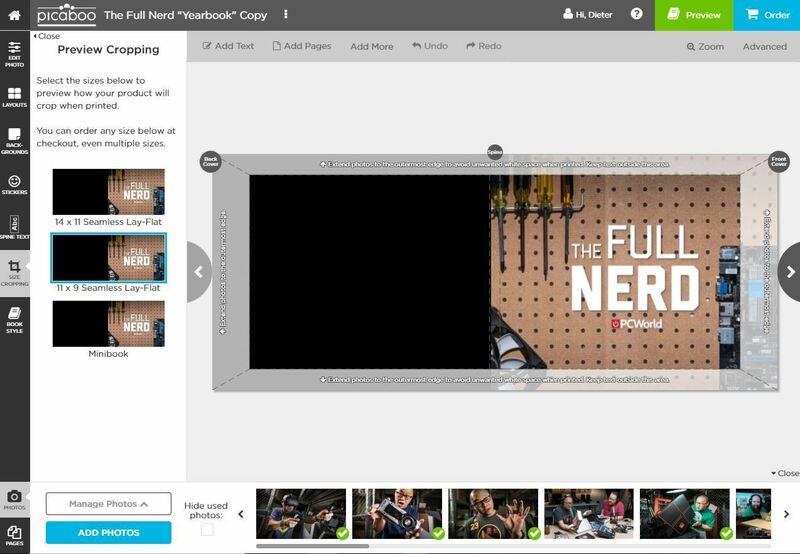 Shutterfly can be less than Picaboo even for larger 11x14-inch books, but the service nickels and dimes you to remove things like the logo and add features to get a product that’s similar to what Picaboo offers at checkout. Overall, Picaboo isn’t a bad deal, but there are stronger photo book services to consider. Picaboo offers a robust editor with many useful tools, but its newest version is plagued by crashes. The book lays flat as promised and the pages and covering feel high quality, but the photo quality printed inconsistently, and isn’t striking enough.